Get more for your money at the Quality Inn hotel in McComb, MS near the Southwest Mississippi Regional Medical Center. We are situated right off Interstate 55 near other attractions like the Kramertown-Railroad Historic District, Quail Hallow Golf Course, Edgewood Park, Percy Quinn State Park, Bogue Chitto National Wildlife Refuge and Douglas Park. Get more value with amenities like free hot breakfast, free WiFi and a seasonal outdoor pool. 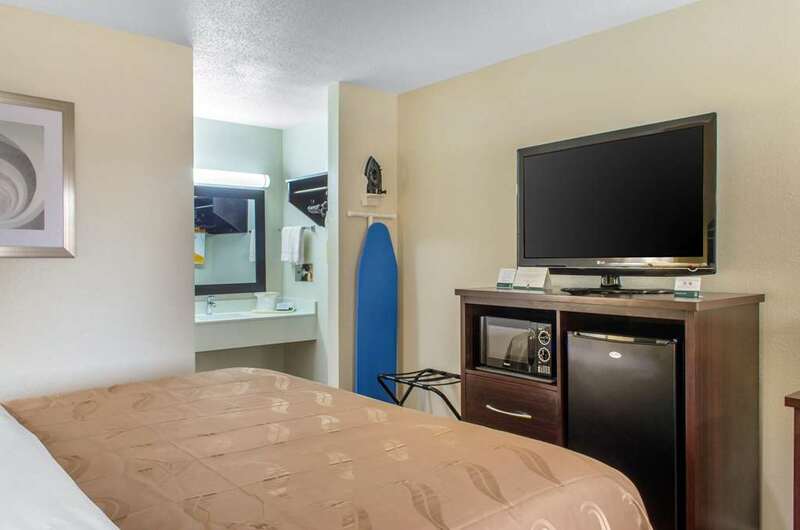 Rooms come with microwaves, refrigerators, coffee makers, TVs and hair dryers. Upper-tier suites have even more amenities, such as desks, sofa sleepers and a hot tubs. Also, earn rewards including free nights and gift cards with our Choice Privileges Rewards program.